Monday 23 July will see the World Premiere of the final score for Daphne Oram’s 1948 composition Still Point for double orchestra, live electronics and turntables at the BBC Proms in London, realised by Shiva Feshareki and James Bulley alongside the London Contemporary Orchestra. Still Point will form the centre piece for Prom 13 at the Royal Albert Hall, amongst an incredible programme of pioneering composers. The concert will see the culmination of years of research by Feshareki and Bulley, and as Oram thought up the ideas for it while working for the BBC at the Royal Albert Hall and at Maida Vale during World War Two, it is an incredibly fitting scenario. The concert will be broadcast live on BBC Radio 3, and two days later on television on BBC4. 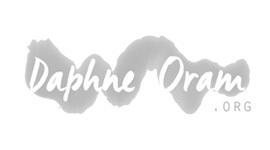 The Daphne Oram Trust is Registered with the Charity Commission as 1134910.